The season for political messaging is in swing, but how can politicians – especially those running highly competitive races for Chicago mayor or alderman – break through? “If you talk a lot about unity but you act in ways consistently, or speak in ways consistently, that undermines that unity, you’re just not going to have as much credibility on that issue,” said Jason DeSanto, a senior lecturer at Northwestern University’s Pritzker School of Law. 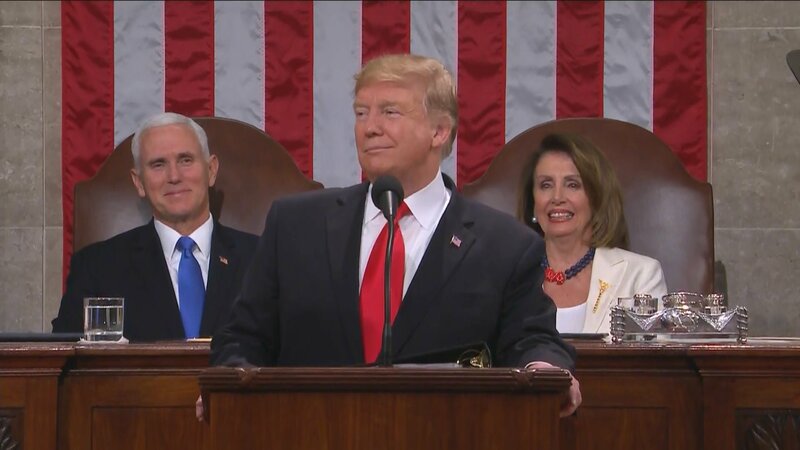 President Donald Trump delivers his State of the Union speech Tuesday, Feb. 5, 2019. “That quote raises issues of credibility and it also raises issues of a crisis. Those are two of the Cs. The third ‘C’ I would think about is carnage,” DeSanto said. In terms of breaking through with messaging in the crowded race for Chicago mayor, DeSanto says money matters, but so do all those forum. “Money is powerful. Money helps getting on TV, which helps pay for commercials and to get mailers in people’s homes,” he said. DeSanto says there are three issues in every campaign: how to be credible, drive your message and do no harm to your campaign.